This detour to Romania and Moldova has been short, but I've slept in all sorts of places - backpacker hostels, haybarns, a loft above a chicken coop, a Soviet-era hotel, even an eco-resort with a pool... but my favourite was this place, IQ Hostel in Chisinau, Moldova. The hostel itself is pretty cramped and there's nothing special about the facilities - but the young guys who own it and their relatives who help run it are some of the kindest, most helpful and caring hosts I've met. After a four-day stay, leaving Chisinau felt like leaving my family. To everyone at IQ, thanks for a lovely stay! 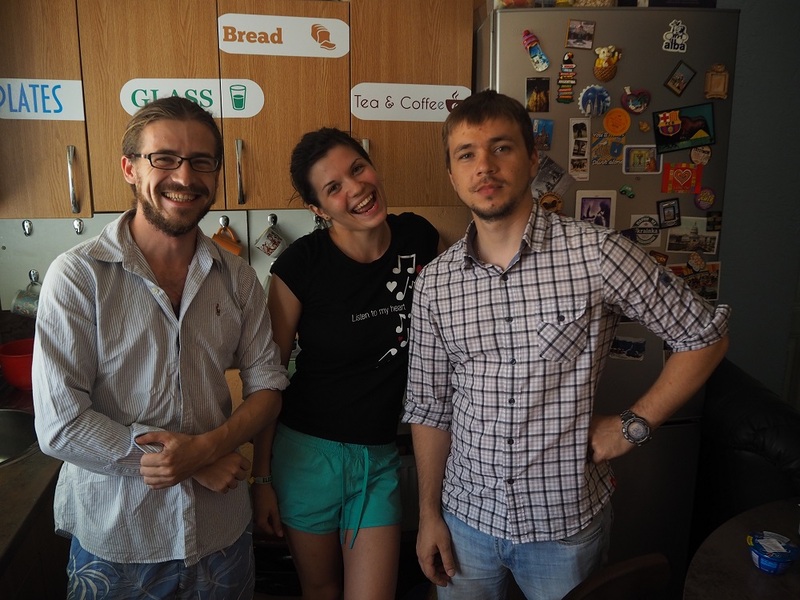 Pictured from left, IQ staff Alex, Dana and Daniel (? ).